This tightly woven and extra fine fiberglass mesh keeps very small insects out. 48-inch x 100 ft. Fiberglass Charcoal 20x20 Mesh Screen This slightly tighter woven mesh is designed to control small insects----gnats, no-see-ums and small mosquitos. While a tighter mesh, this screen still allows good ventilation and visibility and provides some daytime privacy. Phiferglass is woven from permanent glass yarn, then coated with a protective vinyl to ensure lasting beauty, colour and flexibility. 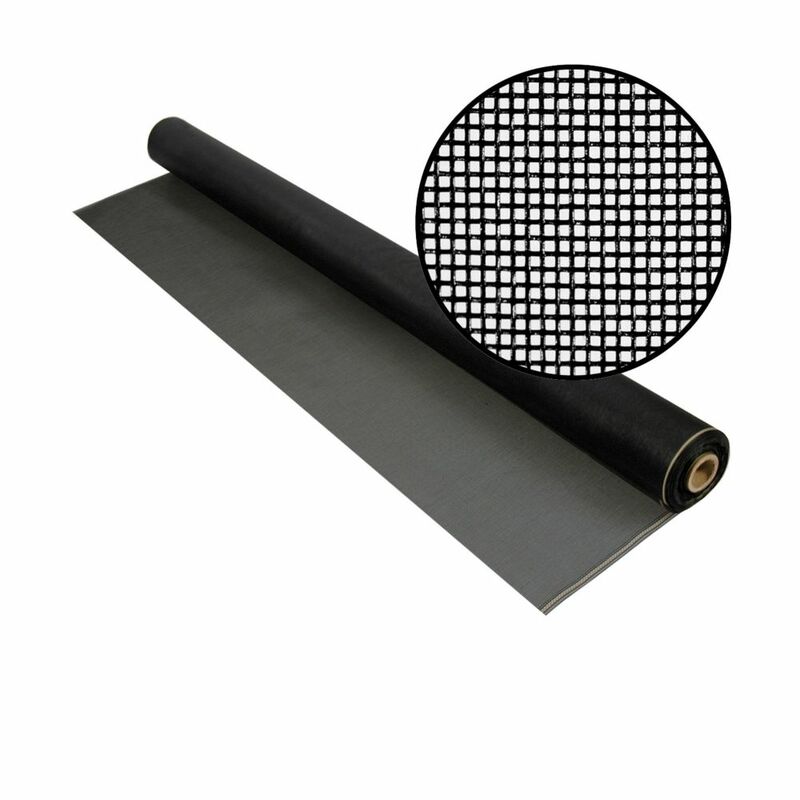 48-inch x 100 ft. Fiberglass Charcoal 20x20 Mesh Screen is rated 5.0 out of 5 by 4. Rated 5 out of 5 by Puffer from Screen Mesh Excellent coverage - great sun protection -- keeps bugs out -. Rated 5 out of 5 by Ellie from Very good We like the charcoal color and visibility. Very little distortion with good insect protection. Rated 5 out of 5 by Sandra from Phifer48 in. x 100 ft. Charcoal Fiberglass Screen 20x20 Mesh This noseeum netting is great. Sturdy material. Both my cat and puppy have put their paws on it and it didn't tear.